With great fanfare, EMI released The Beatles in Mono on CD back in 2009, and on vinyl last year. This, we were told, was the way that The Beatles should heard. These albums had been mixed and released in mono because that was the prevailing technology of the day. In due course, stereo mixes were created, and latterly albums were mastered in stereo. But I’ll leave The Beatles alone as I suspect this is the sort of thing that keep enthusiasts up all night talking. What did happen is that stereo became the default recording format from the late sixties onwards. “Music centres” came along, and people began to separate their speakers. Indeed quadrophonic came along too, but not many people bothered with that. Latterly we’ve had a home cinema revolution with surround sound, Dolby 5.1, Dolby 7.1 and beyond. Of course all that wonderful sound doesn’t mean it has been adopted everywhere. Many stereo sets have so little speaker separation as to make no difference. Flat screen TV are so thin these days that the included speakers are much worse than twenty year old cathode ray sets, and sound bars can only give a pseudo representation of surround sound. Perhaps the biggest disappointment is DAB, where the majority of “kitchen” radios – ie. the standard Roberts and Pure radios you see in John Lewis, Argos or your local supermarket – are mono models. And that’s the argument that stations use when they only broadcast their DAB services in mono. Nobody except for some hardened anoraks will complain if we drop to mono because they’re listening in mono. 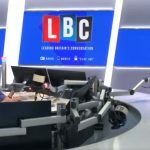 LBC and Capital Radio began the commercial radio revolution in the UK in 1973, and they both launched in stereo on FM (or VHF as it was more commonly known at the time). Commercial radio has always been a stereo property. It was the BBC who had to play catchup with pop music – Radio 1 only going onto FM in the late eighties when it was given FM space. It was essentially medium wave only prior to then. This is down to a combination of two things: the lack of available space as national DAB spectrum has suddenly (finally?) become a valuable commodity, and the cost of said space. At this point in time, with Global’s burgeoning DAB plans, it’s probably fair to say that the former is the bigger driver. I write all this because I’m sorry to report that Absolute Radio has just dropped from stereo to mono on national DAB. It has been a slow process. 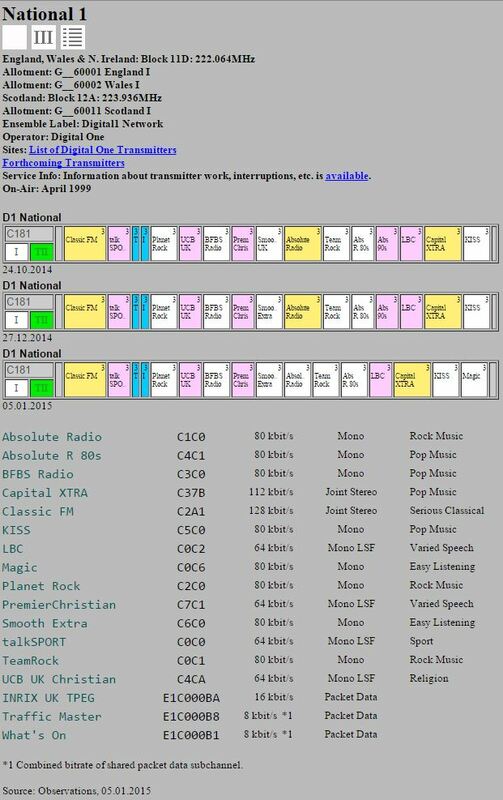 For many years Absolute Radio (and Virgin Radio before that) broadcast at 160kbps stereo. All you really need to know is that the higher the number, broadly speaking, the better the quality. Over time that fell to 128kbps, and later, using newer encoding techniques, to 112kbps – the minimum for a stereo signal to be maintained. The reasons were many – but were mostly to do with costs surrounding transmission, and the need for spectrum to allow the launch of new services like Absolute 80s and Absolute Radio 90s. But national brands have increased in importance, and so from the start of this year, Bauer has moved Magic onto national DAB. To do that within its current DAB capacity, that has meant removing Absolute Radio 90s which was broadcasting at 64kbps (the minimum viable mono bitrate for a music service), and taken a bit of Absolute Radio’s capacity. That means that all of Bauer’s D1 properties – Absolute Radio, Absolute 80s, Kiss, Magic and Planet Rock – are now broadcasting at 80kbps mono. That leaves just Classic FM (128kbps) and Capital Xtra (112kbps) as the sole stereo broadcasters on the national multiplex. Now it’s fair to point out that Absolute Radio has popped up on the London 1 multiplex at 112kbps stereo (and indeed Absolute Radio 90s can also be found there at an increased bitrate of 80kbps mono). That’s certainly good news for Londoners, although they’ll have to navigate carefully between two Absolute Radios (as well as two Magics). But if you’re outside London? Well it’s the internet for you, where quality is excellent, and easily trumps broadcast. That doesn’t work so well in cars though. And that’s the danger. If everyone is only listening on their mono kitchen radios, what does it matter? They’re not going to notice the difference? Indeed a 112kbps joint stereo signal is arguably worse than an 80kbps mono signal is some respects. The music is stereo though, and we’re degrading it. Listen via headphones, and it’ll sound worse. Perhaps the most important place is the car. You do get good stereo separation in cars. A good stereo signal fills a car’s interior even on quite basic equipment. With DAB being fitted as standard on the majority of new cars now, the immediate issue for operators should be that their signals are going to sound worse than the BBC’s. The BBC has maintained stereo for all its music services. As a result, 6 Music is now going to sound an awful lot better than Absolute Radio; Radio 2 sounds much better than Magic; and so on. Programme Directors of old used to play a processing game (they still do to an extent). The idea was that you made your station sound “louder” than the competition by employing audio processors that made the music you played sound “bigger”. Various techniques were used, but of course it really meant reducing dynamic range – the differences between different parts of the music. Again this is an area that people will argue for hours so I’ll leave you to Google it if you want to know more. But the idea was that a listener on their FM dial would stop at the station that sounded louder and bigger than all the rest. To an extent, the competitive edge these techniques might have given a station has been diminished by the lack of dynamic range in pretty much all pop music today (Essentially, studios mastering the songs are playing the same game). But while in the past those PDs might have “won” the loudness war, they’re losing the stereo one. And there’s no post-processing available to give it a leg up. Stereo stations sound better than mono ones – especially in the car. If you’re mono on DAB, then you sound worse than your stereo competitors. To be clear, this isn’t a technology issue. DAB is perfectly capable of broadcasting an excellent stereo signal. And all digital technologies are capacity constrained in some way. That’s because there’s usually a price/quality issue to address. Flick around channels on Sky and see the different levels of quality for SD or HD channels. It’s highly variable, even between channels owned by the same broadcasters. Not all SD is the same, and neither is HD. There are suspicions that some SD channels have been degraded to “encourage” viewers with ever bigger sets to upgrade to HD. It’s usually an economic/capacity argument. DAB+ is more efficient, and could improve things. But there’s a complicated equation based around distribution costs, sound quality and audience reaction. A service using DAB+ uses less capacity than the equivalent quality DAB service. So as a broadcaster do you bank the savings from your reduced distribution costs using DAB+, or pay the same and improve the quality? Let’s just say we’ve not seen many people do the latter. The closing date for applications for the second national digital radio multiplex is soon, and we can hope that the winning bid means a bit more space for stations to breathe. Maybe a broadcaster might be willing to move a current service across from D1 to D2 and give it more bandwidth? The flipside is that D2 – certainly at launch – won’t have anything like the coverage of D1. And depending on the plans of the winning bidder, it may never get that coverage. While the picture is a little gloomy nationally, it should be noted that these space constraints don’t tend to be as much of an issue locally. If you look around the country, your local commercial services are usually in stereo. But then stereo radio has been around since the 70s in this country, and we should be looking beyond stereo, and not backwards to mono. I agree with you on nearly all of this Adam. I think until DAB+ allows us to get more out of lower bitrates the tradeoff is between additional services and technical quality. Unfortunately the strident moanings of the anti-digital mob did a great job of “proving” that DAB isn’t about technical quality, conveniently ignoring that the BBC had distributed network radio digitally since the seventies. That left extended choice of listening as the key reason for people to migrate to digital, allied to an uplift in quality for many of the AM services listeners enjoyed. Sadly some operators have taken that as their cue to launch brand-extensions which siimply plug the gaps between offerings, creating a market that has too many services that sound the same. I’m not sure that doing things this was way gives the listener enhanced choice. I applaud Bauer’s attempts to clearly define their brands and not blur them into each other (full disclosure: I do a weekend show in Scotland for their Greatest Hits Network). But bumping stations like Premier Christian Radio off in favour of something else doesn’t expand choice. And in a world of low-medium rate bitrates, removing real choice is a real concern. Undoubtedly the choice provided by digital still outweighs the technical shortcomings. If you live in an average sized UK town, then your analogue choices for popular music might still be as little as Radio 1, Radio 2 and an ILR service. DAB certainly opens up your choices massively. But I’m not arguing with that. I am, and have always been, a massive supported of digital and DAB. Unfortunately, the economics of the radio business at the moment mean that quality of audio loses out. Since demand for DAB space greatly outweighs supply at the moment, then there’s no incentive for anyone to maintain quality short of losing audience. And the real danger for commercial radio in particular is that it loses a competitive advantage. DAB listening is still pretty low in cars (I don’t have any handy stats to support that, but I think it’s true given the number of vehicles on the road and their age). But given the motor trade’s belated adoption of DAB it probably also represents one of the fastest growth sectors for broadcast. Going mono means you are fighting your stereo competitors with one hand tied behind your back. IP is the game-changer that can make all of this go away of course. But while we still have patchy data coverage, and preposterously low inclusive data limits on the average phone contract, radio listening on the move via IP just isn’t a viable option for many. 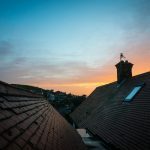 The reason that I originally purchased DAB radios was so I could listen to a Christian station – Premier Christian Radio – outside London in the car and at home. Premier has always been in mono but that has not stopped many of us across the country from listening to both their speech programmes, including news coverage and discussion programmes, and their range of worship music. What I find very distressing is that after years of lobbying parliament to allow faith-based stations access to DAB and the fact that Premier took up capacity on Digital 1, when other broadcasters such as Global were dismissing DAB, we now face the possibility of listener choice been reduced by a so-called brand extension of yet another ‘pop’ music station – Heart Extra.